I have been going through Seneca’s famous Moral Epistles, written to his friend Lucius, so it’s time to begin covering them on this blog. This is the first of a good number of occasional entries which will cover the full range of topics in the Letters, though not every single entry. Most of these posts will be short commentaries with excerpts, since many of the letters are brief. The translation I am using is the classic 1916 one by Richard Gummere. A very recent, excellent, new translation has just been published, by Margaret Graver and Anthony Long. The reason I’m using Gummere’s is because of my purely aesthetic preference for a slightly more old fashioned language. There are 124 letters in the collection, and they were all written toward the end of Seneca’s life, so they represent his more mature thought. Moreover, even though they are actual letters to a real life friend, they were also clearly written with a broader audience in mind, which is why they are considered to be Seneca’s philosophical testament. I don’t have to re-hash here the controversy concerning just how Stoic (or hypocritical) Seneca was. Interested people have two recent biographies (one by James Romm, the other by Emily Wilson) to choose from in order to make up their minds about his life and deeds. My own take is that Seneca was a clearly flawed man who, however, was also dealt a near impossible hand by Fate. He can at the least be credited with realizing — and clearly and repeatedly admitting to Lucius — his own limitations and failures. He is also a great writer, whose eclectic take on Stoicism simply cannot be ignored by anyone seriously interested in the philosophy. This could be interpreted as a rather obnoxious remark, made by someone who thinks his own time is too valuable to waste it on others, but I think that would be an uncharitable reading. 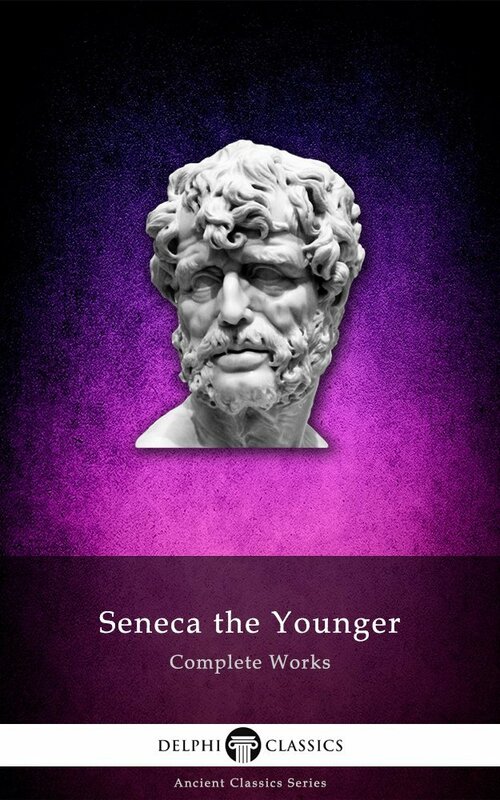 Seneca clearly thinks everyone’s time is precious, and that everyone should use it wisely. Though it must be said that since the Letters to Lucilius were drawn from the dregs of Seneca’s cask, he was clearly wrong about the inferior quality of what remained in him. This entry was posted in Seneca to Lucilius on May 19, 2016 by Massimo. IMO his philosophy isn’t so much “eclectic” as it is “accessible:” he does a superb job of raising reasonable objections/concerns/confusions that interlocutors are likely to have—and he leverages a wide variety of voices to do that. Unlike Epictetus, he doesn’t leave me guessing about what exactly he meant. Of the surviving Stoics, his argument for virtue as the only good is the most complete and thorough, AFAIK. I find it hard to understand why literary critics so routinely dismiss hims as “no so much deep as clever” and so forth. He covers huge amounts of ground with his arguments for orthodox Stoic positions. I read through this on my kindle and had to order a physical copy to carry around as a reminder. I love the fact that you can flip to just about any page and pick out some very useful reminders. And on the topic of time, he makes a great point that many people wish for a longer life, yet they make little use of the time they’ve already been given. So true…sad, but true.